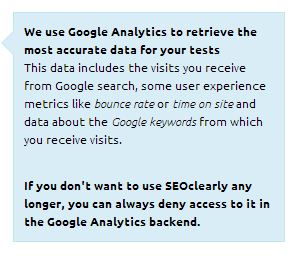 SEOclearly is a new A/B testing tool. I’ll bet you are thinking to yourself, “oh no, not another A/B testing tool!” This one is very different, however. SEOclearly is designed to help you make changes to your site and see what effect those changes have on your search engine traffic. There are plenty of split-testing tools designed for testing conversions, but this is the first I’ve seen aimed directly at search engine traffic / rankings. For that reason, we decided it would be a good idea to sign up for the 30 day free trial so we could test the tool and report our finding back to you. So what does SEOclearly claim to offer? See visits, keyword position and CTR instantly, so you can quickly see which variation Google likes best. Monitor keywords with limitation – real keyword rankings from real users with data directly from Google. 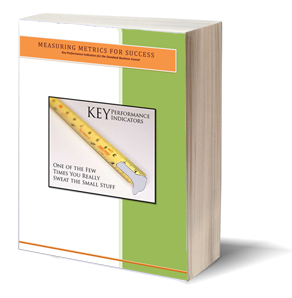 Get in-depth reports that shows exactly why the pages lost or gained rankings in Google. One thing I noticed as I delved into the instructions is that SEOclearly tests “groups” of pages, rather than one page. So each split test will compare two groups of similar pages. One group contains the change you’ve made, while the other group does not. The reports then reflects the rise or fall of each group of pages. 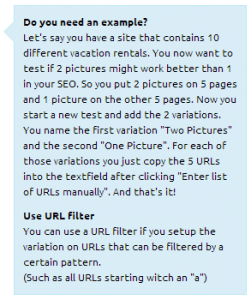 The example given in the training video involves testing whether showing rental property images on a group of pages in one locale results in better or worse rankings than not showing images on a group of pages in anotehr locale. This tool then is not meant to test just one page or focus on one search phrase. It would be the wrong tool to optimize a single landing page. Instead, it’s designed to optimize templates of pages, so the ideal customer is one that has a site with lots of pages using a similar template. Before we did anything within SEOclearly, we needed to determine what to test. I wondered if social proof would have any effect upon rankings and search traffic. I’m a big believer that social proof helps with conversion, but what about rankings? 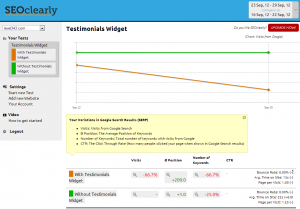 Could listing testimonials, for example, give us any additional trust scores with Google? Rather than guessing, an A/B test for this is ideal. Since our sidebar has a little room to spare, we decided to add a small testimonials widget just under our contact form on half of our pages. The other half remained the same. Once we made this change, I headed over to our newly opened SEOclearly account and set up the test. The steps are simple, so I’ll show each step via the screenshots below. 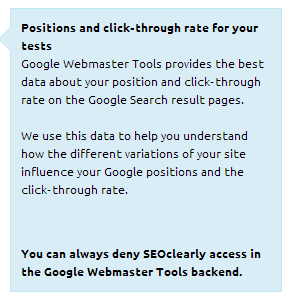 Basically, it’s just a matter of authorizing the tool in both Google Analytics and Google Webmaster Tools, and then adding a new test by telling it which pages contain the change and which pages don’t. So how did our test fare? Let’s look at the results. Obviously, our search traffic suffered after adding the search widget. Take notice of the table columns under the graph. Each of those data points for Visits, Position, Number of Keywords, and CTR can be clicked on to show details about each, which can help understand what changed in the SERPs. Should we trust that adding the widget resulted in lower search traffic? My gut says no, in this particular case. After drilling down into the data details, I’ve decided that more than likely, other factors came into play during this test period. However, it may be worth our time to run other tests before jumping to any conclusions. Just to be sure, we may remove the widget, but keep the test running, to see if the traffic returns. It’s important to note here that it can be very difficult to be sure if a change you made was a direct result of a rankings or search traffic change. With the huge number of algo updates that occur these days, and the fact that your competitors are probably making changes too, many things beyond your direct control could be impacting your rankings and search traffic. In addition, some changes you make may be more “measurable” than others. For instance, if we’d tested page title changes, we probably could have a slightly better assurance that it was our actual changes that resulted in higher or lower search traffic. 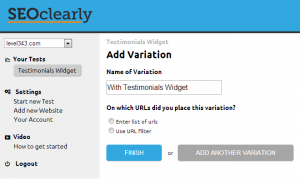 The fact that we tested adding a testimonials widget is likely something that has a far lower impact, simply because it is a matter of adding just a couple of sentences of content to a few pages. All in all, the tool was easy to use, although the report’s date changer is confusing. The dates are listed as a range, such as 9/30/12 – 10/6/12 compare to 9/23/12 – 9/29/12. Yet, when attempting to change a range, it will readjust the dates you put in to a one-week period. It’s obvious once you really pay attention, but if you weren’t expecting that, you might not notice that it’s not actually using the dates you wanted. I think SEOclearly is worth testing. It may or may not prove useful over the long haul, but if you often wonder if that change you are about to make might hurt or help your rankings, SEOclearly might be a tool to help you make that decision.